This room used to be open to the kitchen and dining room as a shared bathroom for the main level. In todays world people consider master suites a MUST - we know we do! We closed off the space to the main level and added a doorway from the master bedroom to make it into an ensuite. A beautiful tiled shower and double vanity make this a spa oasis! Storage galore! We added round sinks and a quartz countertop to keep the look clean and modern. Lots of light and sparkle add to this spectacular bathroom. 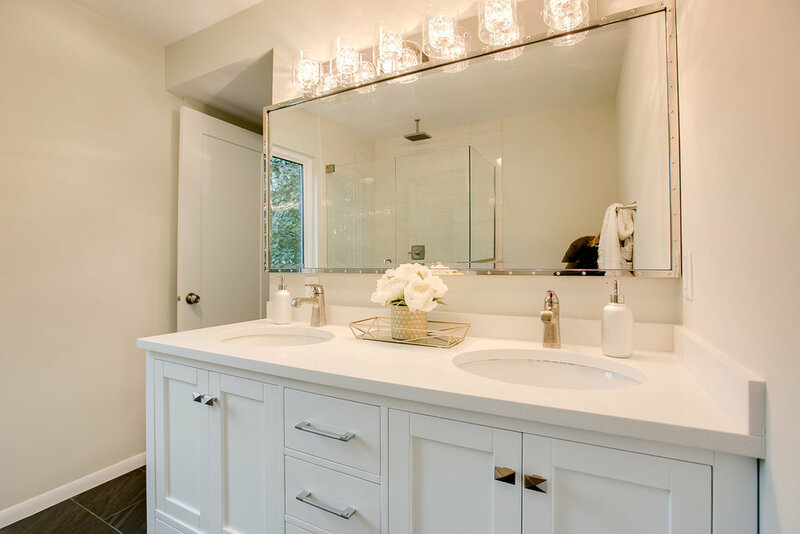 A large 60" wide mirror makes this bathroom look SO much bigger! I selected a wall tile that had a marble look to add some subtle texture. 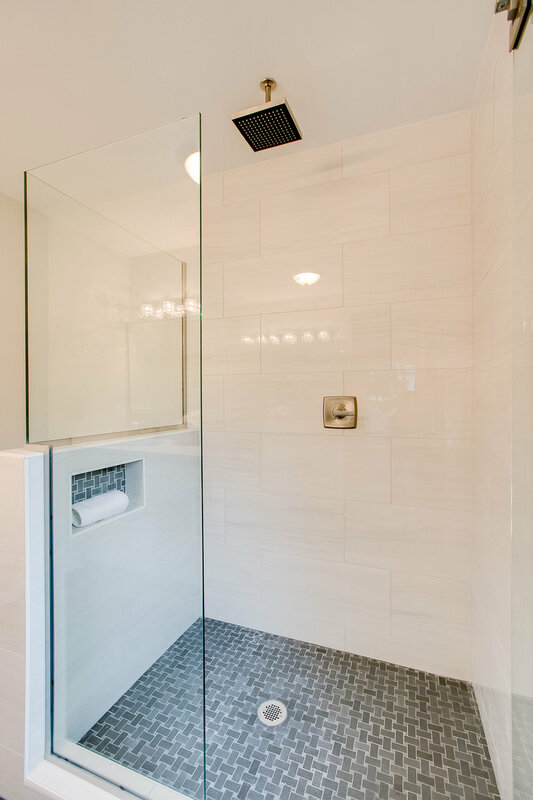 To go with the dark bathroom floors, I selected a black mosaic tile for the shower floor and niche. Dark tile on the floor grounds the space and selecting a tile with some movement makes it more interesting than just a solid color.